Yet another new species discovered! This time it’s in the central deserts of Western Australia – a species of Taipan (a large — up to 3 meters in length — fast, highly venomous Australian snakes). According to the Australian researchers, this species was initially thought to be a young brown snake, was eventually found to be previously undiscovered. 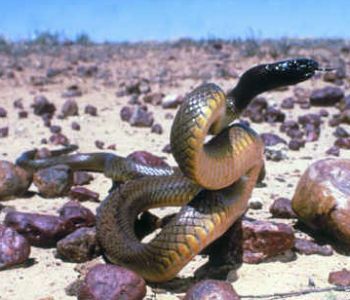 DNA testing confirmed this unknown species of Taipan, according to Professor Steve Donellan from the South Australian Museum. This discovery was a part of a biodiversity survey. It is after 125 years, this makes it the third species of Taipan being found in Australia. You don’t find a big venomous species of snake very often anywhere in the world, especially in a country like Australia which is relatively well explored, so it’s a big find. [For] people who are interested in reptiles, this would be an outstanding find. Want to have a view of it, visit the WA Museum. It is preserved there. Most widespread industrial contaminant is cancer-causing! ← Can you use the Internet to create a greener world?